Chrichton's World: Review The Inerasable a.k.a. 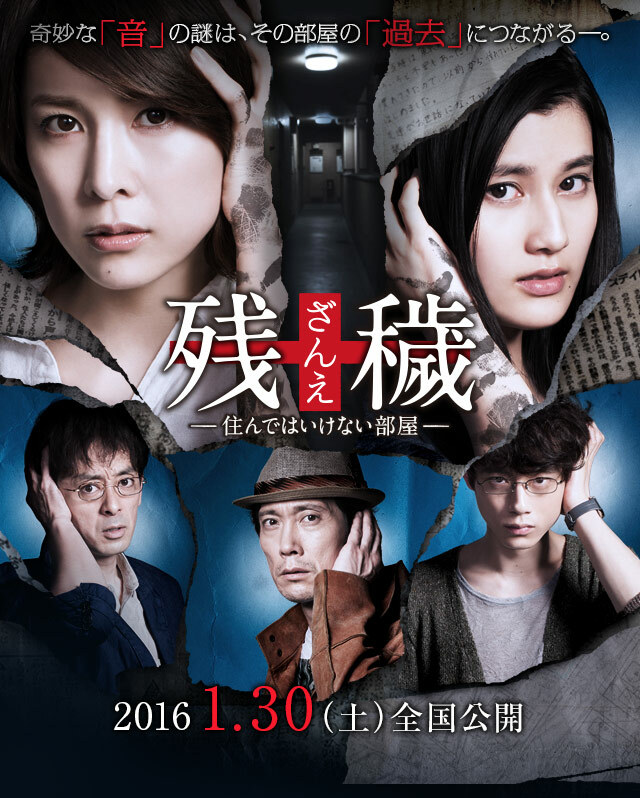 Zan'e: Sunde wa ikenai heya (2015): Excellent slow burning horror mystery that will reward you for your patience! Review The Inerasable a.k.a. Zan'e: Sunde wa ikenai heya (2015): Excellent slow burning horror mystery that will reward you for your patience! Forget about jump scares, loud noises, long haired women and all that. The Inerasable isn't your typical horror film. It might start and end as one it mostly plays out as a procedural where a writer of mystery novels and an university student team up to investigate a creepy sound and what the cause is of that sound. Ms. Kubo (Ai Hashimoto), studying architecture, lives on her own in an apartment for the first time. She is immensely happy except for the sounds she keeps hearing. It's like a sweeping sound. While she is scared she is also very practical about it and contacts I (Yūko Takeuchi) to pick her brain of what the sound could be and how it's caused. It's the start of a very thorough investigation into history and several different curses that may or may not be related. It is asked of you to be patient but also that you pay attention since a lot of information is thrown at you which you are required to remember since it will intensify the viewing experience. While the overall pace is slow it never feels tedious or boring. Actually quite the opposite. Several curses and ghost stories come to light and at certain points they get intertwined making it a little confusing at times since it's not clear what they have to do with each other. Don't worry it will be explained to you. If you follow the two ladies and their discoveries you will find yourself engrossed and immersed with all that is going on. The mystery is deep and very compelling. At times it felt like I was watching a documentary since it easily could have been. However the film does play around with the viewer. It often misdirects you or resorts to conventional horror tropes to then five minutes later demystify the supposed supernatural elements. To then again surprise you with something creepy. The Inerasable is incredibly creepy and full of dread. You will feel something brewing without actually knowing or grasping of what is going on until the very end. IMPORTANT: Keep watching when the credits start to roll at the end. There is a very big and important after credits scene that will put a spin on everything you have seen. The Inerasable tries to downplay or dismiss certain events to make you see reason and state that there is a logical explanation for everything. But it also is telling you that sometimes you should ignore reason and follow your gut. If you allow it The Inerasable will deliver a lot of horror goodness. But it does ask of you to watch the film until the very end (beyond the credits) and pay attention. Otherwise you will miss out on a lot. And when you do you will be rewarded fully. If you ask me it's quite brilliant how conventional and traditional Japanese horror tropes have been used in ways that they feel fresh and creative. A must watch for sure!